Degenerative disc disease is the term used to describe the condition of pain resulting from a damaged disc in the spine. The onset of the disease occurs gradually and may take years to reach its full extent. It occurs in three stages which take place over 20-30 years. The spinal discs act as the body’s shock absorbers and retain the flexibility of the back over time. The three stages of disease progression involve impaired back movement, recurring bouts of pain and the final stage where the body adjusts to the injured condition of the back. Common symptoms of the disease include bouts of back pain while sitting or bending, numbness in the fingers or toes, limb weakness, and lower back problems. These signs can begin to show in sensitive individuals starting at age 40 onward. The main causes of this disorder are wear and tear of the discs, result of a prior injury or progressive drying out of the disc. Medical professionals can detect it through a routine physical examination followed by an MRI (Magnetic Resonance Imaging). Once diagnosed it can be treated or through medical or surgical means. Turmeric is a common spice native to Central and South Asia. Known for its distinctive taste and aroma, it is one of the most important ingredients in Indian and Chinese cuisine. The yellow compound it contains, curcumin provides it with unique biological activities and healing properties. Through Ayurvedic and traditional Chinese medicine, it has gained popularity as a natural remedy for the prevention and treatment of many diseases thus making its oils and extracts a topic of interest for researchers. Considering the highly beneficial properties of turmeric and its potent ability to bind to cells in the body to drive away diseases, a large amount of research is being directed towards its uses in order to understand the full scope of this herb. Degenerative disc disorder is often accompanied by severe pain caused due to damage of tissue. Turmeric is believed to have the ability to relieve such conditions. he main properties of the compound which enable it to relieve pain are it’s high analgesic and anti-inflammatory effects. It inhibits the activity of pro-inflammatory chemokines and cytokines like interleukin (IL)-1β, IL-6, IL-8 making it a useful agent to avoid spinal pain. Scientific evidence of its ability to reduce pain can be seen through the numbered clinical trials conducted in this regard and ayurvedic documents recording the same. An added bonus is that it is a natural compound which is safe and compatible with the human body. A blended mix of curcumin in turmeric oil as believed to provide the best effects as this aids its absorption by body cells. Turmeric has several pain-relieving effects on sites affected by the damage. It acts as an analgesic and alleviates discomfort of the disc. Inflammation is one of the chief influencers of disc pain and swelling. It takes place due to the body’s attempts to repair damage at a particular site. It is one of the main signs of disc degenerative disorder. Curcumin derived from turmeric is believed to exert its anti-inflammatory effects through regulation of enzymatic activities. It blocks key inflammatory pathways and the molecules responsible for them, NF-kB, COX-1, and COX-2 in particular. This was validated through an in vitro study published in the Journal of Biochemical Pharmacology where curcumin treatment on human chondrocytes (cells secreting a matrix of cartilage) was analyzed. The effective suppression of Interleukins, NF-kB, and down-regulation of cyclo-oxygenase-2 (COX-2) was observed to histochemical means. The anti-catabolic properties (preventing the breakdown of tissue) of the compound were recorded once more by Buhrmann C et al. They observed that the administration of curcumin to mesenchymal stem cells (cells that later develop into structural tissues)protected against inflammation and joint degradation. The modes through with this is brought about involves downregulation of Interleukin (IL)-1β. This is a key factor in the development of degenerative disc disorder as it activates the transcription factor nuclear factor-κB (NF-κB) which controls a cascade of apoptosis (program cell death) and inflammation inducing signals. 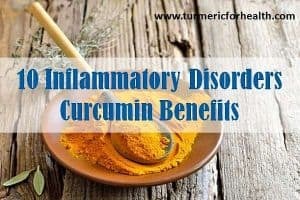 These findings resonated once again in a 2012 study which elaborated on how useful curcumin would be as a minimally invasive therapeutic agent in disc related problems. It was seen that the introduction of turmeric decreased inflammation and in turn improved motility. 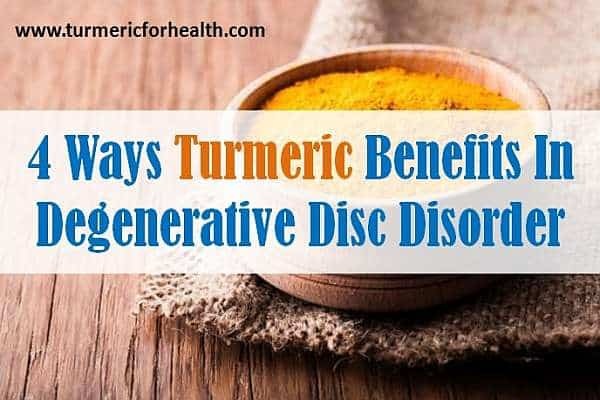 The use of turmeric provides a potential remedy for disc degenerative disorder induced inflammation. It lowers swelling and enables better movement and functioning of the spinal cord. Curcumin is believed to provide numerous benefits for joint health and stability. Its ability to control cytokine and chemokine levels is most helpful in this regard enabling it highly useful as a nutritional supplement. The International Journal of Molecular Sciences published an article in 2012 giving detailed insight and evidence to the individual and combined uses of curcumin and resveratrol (a polyphenol derived from red wine) for spinal problems. Through an extensive literature survey, it was established that the administration of these compounds could help improve cartilage movement and flexibility. This was seen even through clinical trials in humans, which though few in number have given positive results. The antioxidant and anti-inflammatory effects of these compounds are responsible for their ability to repair damage at discs. The antioxidant and anti-catabolic effects of curcumin make it a suitable candidate for development of a nutritional supplement as it has been scientifically proven to improve joint health. As degenerative disc disorder progresses it gives rise to certain more harmful risks. Over time an individual with a damaged disc may develop problems such as spinal stenosis which may cause permanent compression and injury to the spine. Stenosis occurs when structures called bone spurs are formed. These spurs are meant to control excessive movement of the spine. However, in case of damage, they press against the spinal cord and nerves causing pain to the individual. These signs do not show themselves through imaging processes but become evident due to the individual’s posture and movement changes. If not treated effectively and at the right time this may cause unalterable anatomical changes and injury to the spine. 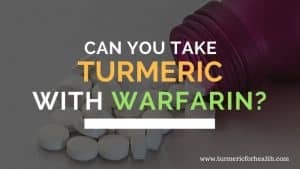 Turmeric provides a possible solution to such ailments as it has been seen to be useful in the treatment of spinal cord injuries as illustrated through several animal models. Lucia Machova Urdzikova ’s recent study highlighted how the immunomodulatory effects of curcumin enhanced motility and recovery rate in an animal model of the injured spinal cord. These positive results can be attributed to the synergistic antioxidant and anti-inflammatory activities of the compound. It also effectively blocked NF-κB activity (which otherwise would worsen inflammation and bone health). In 2014, The Journal of Surgical Research published a similar study which analysed another mechanism of the compound which enables it to bring about healing effects for spinal cord injuries. Increase in the levels of labile zinc is believed to create inflammatory responses and activate pro-inflammatory cytokines. Administration of curcumin attenuates zinc levels and therefore lessens the impact of spinal cord injury. 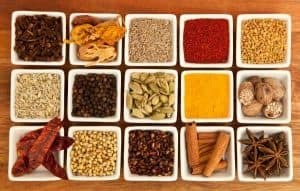 Another experiment aimed at comparing the functional and biochemical uses of curcumin to that of methylprednisolone sodium succinate (MPSS- an anti-inflammatory steroidal medication) in case of spinal cord treatment yet again validated that curcumin could protect spinal tissues and nerves from damage by optimizing the activity of antioxidant enzymes. Through a multitude of pathways involving antioxidants, anti-inflammatory agents and enzyme level regulation, curcumin can modulate immune cells at damaged spinal cord tissues. The compound has yielded benefits in improving motility and protecting from damage at affected sites. For treating Degenerative Disc Disorder it is recommended to consume the herb in the form of Turmeric milk or turmeric tea. In this study, the animal model of degenerative disc disorder was used. They were raised under specific conditions and then randomly divided into five groups. Each group was given a different treatment. Low dose curcumin treated rats were administered 50 mg/kg of curcumin. High dose curcumin treated rats were given 100 mg/kg of curcumin. After 6 weeks tests were done to analyze the level of inflammation and the inflammatory parameters involved as well as the effect of curcumin on these parameters. Dimethyl sulfoxide (DMSO) has anti-inflammatory properties and is used as a general pain reliever. The results showed that there was no significant improvement in lumbar intervertebral disc degeneration of DMSO treatment. However, there is a notable improvement in the low dose curcumin treated rats and high dose curcumin treated rats. NF-κB plays a major role in controlling inflammation and expression of pro-inflammatory genes and proteins. TNF-α is a protein involved in systemic inflammation. NF-κB and TNF-α are key factors in spinal disc degeneration. In normal control group NF-κB-p65 and TNF-α are weakly expressed. In intervertebral disc degeneration group, NF-κB-p65 and TNF-α are significantly expressed. The level of expression of NF-κB-p65 and TNF-α in case of low-dose curcumin treated rats and high dose curcumin treated rats were low. However, there was no significant difference between low and high dose curcumin treated rats. The study showed that curcumin slows down intervertebral disc degeneration process by downregulating inflammatory factors. NF-κB pathway is a proinflammatory signaling pathway. An elevation in NF-κBconcentration at a site indicates inflammation of the particular site. It has been observed that there is an increase in NF-κB target genes in case of degenerative disc disease. A large amount of NF-κB is found in the tissues present in the spine.A number of pro-inflammatory mediators and cytokines are released. It activates TNF-α that is known from its inflammatory activity. TNF-α is also an inducer of degenerative disc disease. Curcumin suppresses activation of NF-κB. It downregulates COX-2 and iNOS expression which are inflammatory enzymes. This, therefore, inhibits inflammation. Curcumin, therefore, reduces the pain associated with the disorder. Oxidative stress is associated with degenerative disc disease. Oxidative stress is the imbalance between the production of free radicals and the ability of the body to neutralize the harmful effect of free radicals by antioxidants. Curcumin prevents further degradation due to oxidative stress. Curcumin elevates the level of superoxide dismutase (SOD), Catalase (CAT), glutathione peroxidase (GPx), enzymes involved in antioxidant defense. They break down harmful reactive oxygen species. This means that turmeric decelerates the process of lumbar intervertebral disc degeneration. It reduces inflammation and pain. It helps in combating depression associated with the disease and improves antioxidant defenses. It is pharmacologically safe, effective and more economical alternative to currently available treatments. Turmeric has a multitude of benefits to offer in the treatment of degenerative disc disorder. It can act as an analgesic and relieve pain and inflammation at the damaged site. Through regulating enzymatic activity and oxidative stress levels, it can heal damaged tissues and help strengthen spinal tissues. All these properties combined make it a profound natural therapeutic agent for spinal disc related problems.